Whether you’re launching a new project or business or working to grow your existing enterprise, social media branding should be central to your strategy. Just about everyone you could hope to snag as a customer is already using social; so, why aren’t you using it, too? A stellar social media presence takes a lot more than setting up a few profiles and waiting for new customers to find them. Don’t waste this prime opportunity to engage with your audience and convert them into loyal brand enthusiasts. Instead, use magnetic social media branding techniques to cut through the noise, drive more leads, and outshine your competitors. 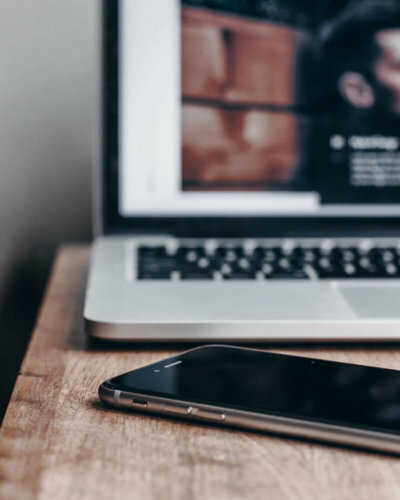 If you’re starting a business and have no idea how to apply your branding strategy to your social channels, check out these three key tips for branding yourself on social media. Inconsistency across social media platforms has several negative implications for brands: confusion, annoyance, or outright rejection of the brand from its followers. Brand voice consistency is the most important element of social media branding. It may sound less exciting than creativity or energy, but it’s true. Consumers also expect your brand to look the same, no matter which platforms it’s living on. This is partly why rebranding comes with risks for businesses of any size. Strong branding is the centerpiece of a brand – your social media “look” should change only as part of a concerted and well-organized rebranding effort. How do you ensure your look, style, and voice on every social platform is consistent? For starters, use your brand color palette and most recognized images throughout every profile, and of course, use your logo as each profile picture. Download this free logo ebook from 99Designs for a step-by-step on how to get the perfect logo for your brand. 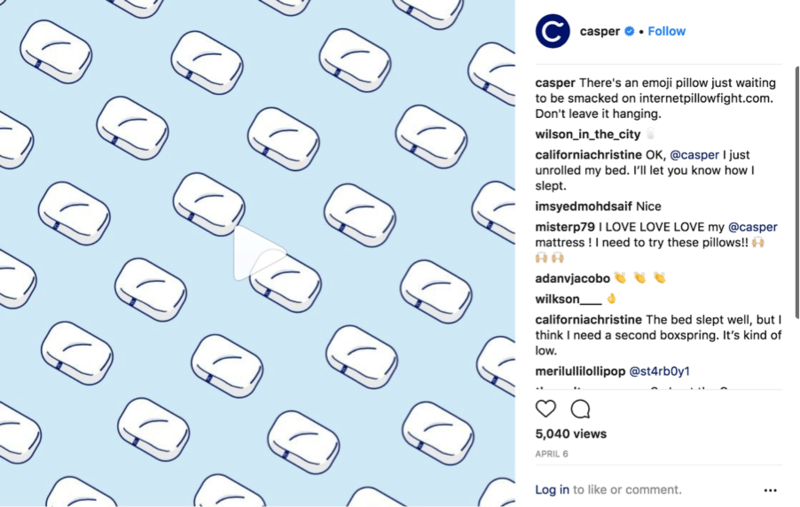 As an example, check out direct-to-consumer mattress company Casper. Their activities and voice are consistently branded across Facebook, Twitter, Instagram, Pinterest, LinkedIn, Snapchat, and Youtube. Casper’s Twitter posts are all relatable, funny, and quirky with a comically heavy emphasis on self-care. This humor undercuts the self-promotional nature of their social activity, bringing the company down to earth and on the level of their largely millennial audience. 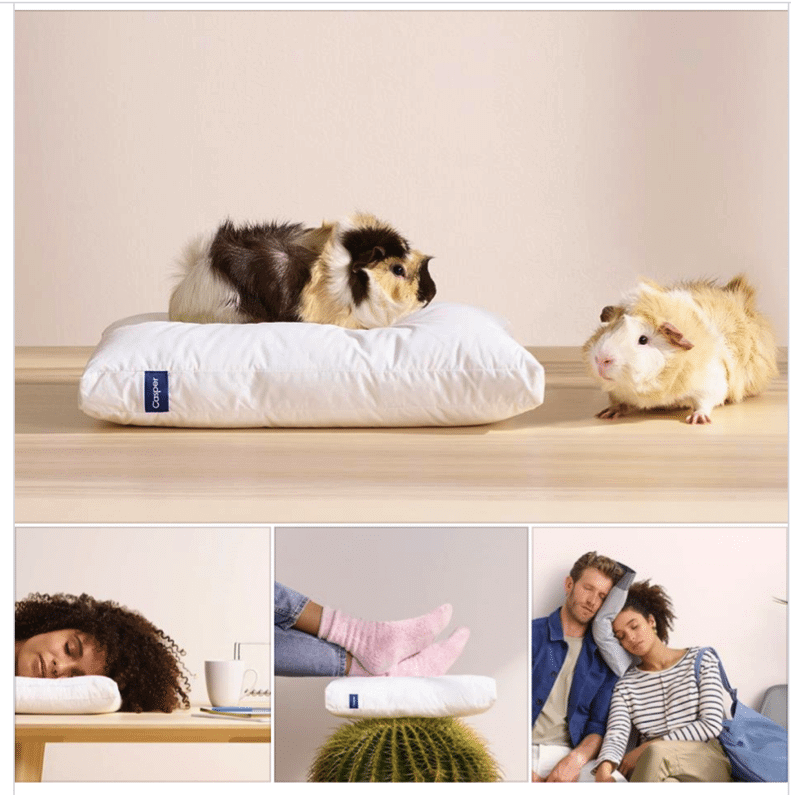 All jokes aside, Casper highlights something way more exciting than mattresses: the amazing sleep a good mattress can give you can absolutely change your life. This focus on a value that’s universal makes Casper more relatable. 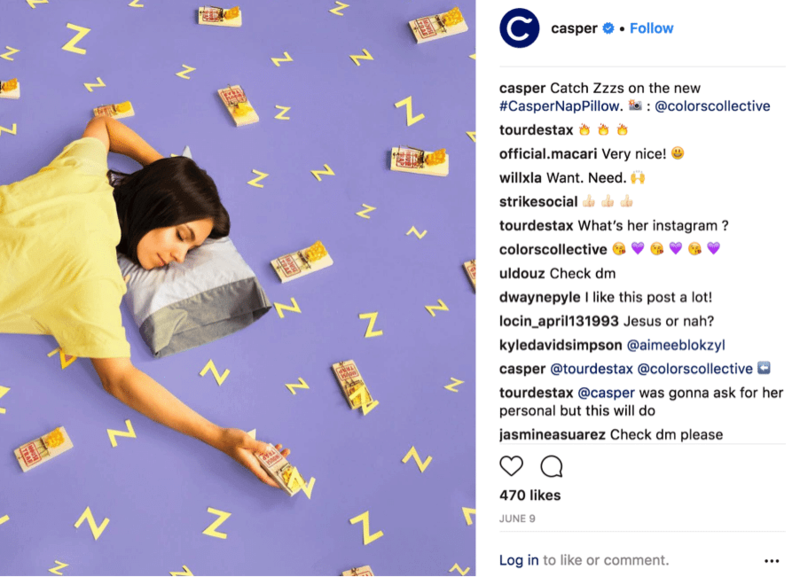 Everything Casper does on social is characterized by simplicity, which mirrors the kind of simple luxury and comfort they’re selling. They also strengthen brand voice through design, consistently using a specific illustration style with charismatic, trendy line-art and restful pastels. For this reason, in addition to what they’re actually saying and selling, their social presence looks on brand. Social media branding success means getting more people to know and love your brand. Creating share-worthy content is one of the best ways to make that happen. If people know they will always find something they really want to share when they drop by your page, they will keep coming back. Fantastic content works for you in multiple ways. It drives traffic from potential leads while establishing your authority in a given niche, both among customers and other professionals. The engagement it brings gives you deep insights into your niche as well as your audience. Nowadays, small businesses can kill it for very little money — thanks to social media. In fact, some small businesses get unexpectedly awesome results from their social content. Ask Ojai Valley Taxidermy about their viral commercial, which has had more than 17.4 million views since 2011. If that seems accidental to you, check out this video about a skateboarding cat—obviously internet gold—created by a solo-preneur animal trainer. Obviously half of creating share-worthy content is figuring out what your target audience values most. Another important component is to ensure your content is highly visual. Prioritize images in your social branding scheme. Facebook posts with images garner 2.3 times more engagement than posts without visuals. Twitter is no different; tweets with images get 150% more retweets. On platforms like Pinterest or Instagram, images are everything. One business that’s really excellent with turning great images into highly shareable content is Peel. This cell phone case business has its work cut out for it, as it finds itself in an established industry with stiff competition. 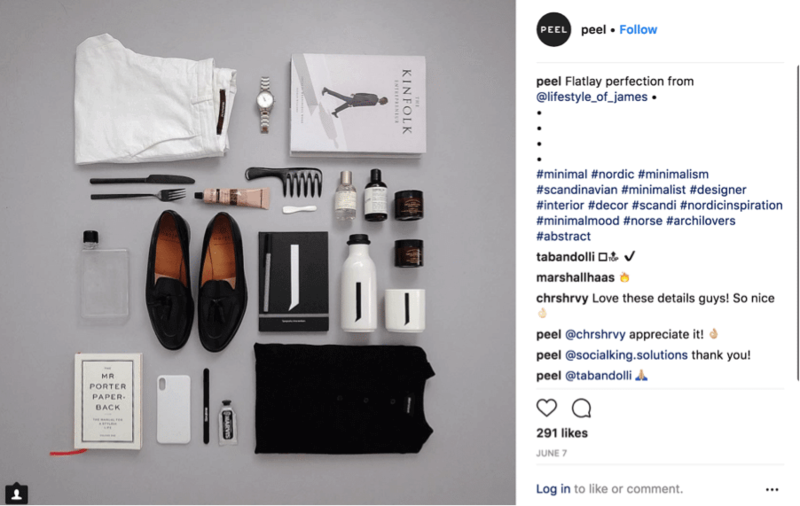 Peel does this by being the brand with a modern, clean aesthetic that is highly popular with millennials and Gen-Z. Peel creates great ads that sell, but that’s not the entire secret to their success. They also use their hyper-minimal, pared down design to their advantage. 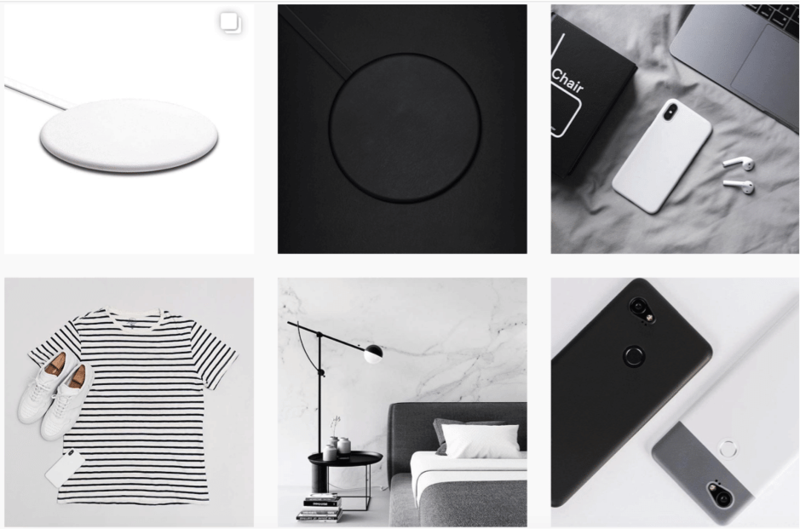 They have an appealing, cohesive look on each social platform — especially their highly visual Instagram. The last tip may be the most important: be social and engage with your community. That’s right! For social media marketing to work properly, you have to get social. Go figure! Respond to followers when they repost, tweet, or comment on your posts. Answer their questions to show that you care about their user experience. Get into those comment streams, every time. If you engage with fans, they’ll come back for more. How about a solo-preneur example of great engagement? 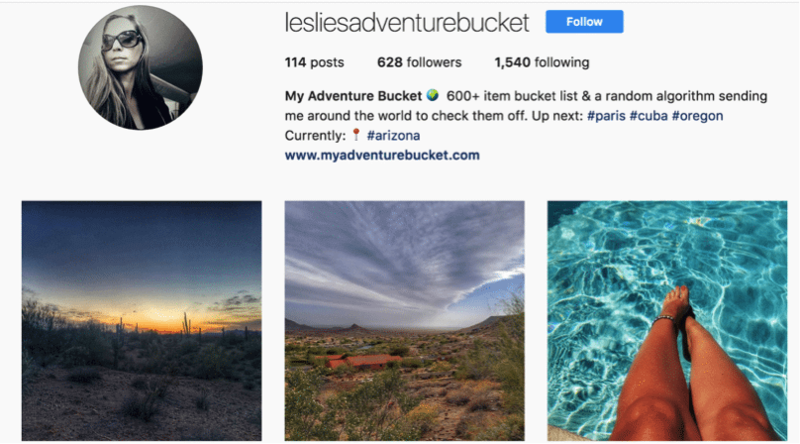 Check out Leslie’s Adventure Bucket, a one-woman travel blogger. 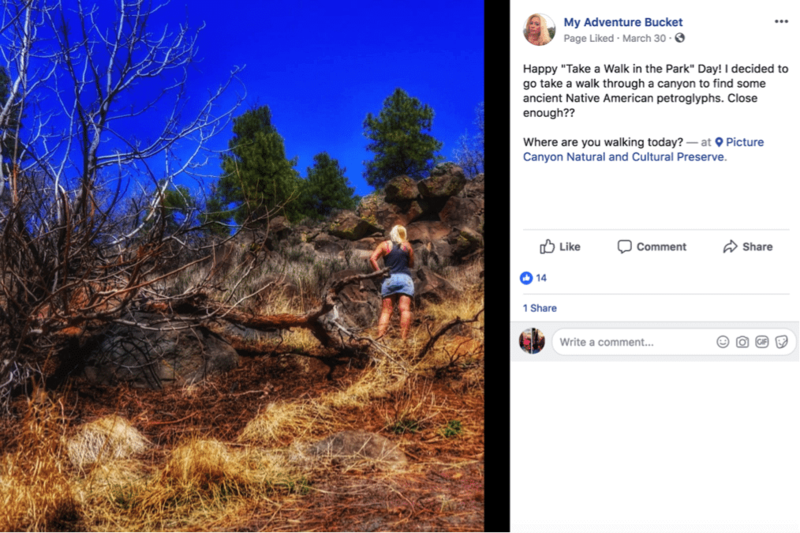 She’s building a social media following and a personal brand despite traveling with a chronic illness, and she’s doing it in large part with humor and amazing images—but even more so by engaging with followers. She’s got more than 100K followers on Facebook and a growing presence on both Twitter and Instagram. When you check out her pages, especially on Facebook, you’ll see her responding to followers at all hours, which is what keeps them coming back. For her, it earns her advertisers and affiliates she can link and earn money with. Sounds like a ton of work, right? It can be, but tools like Nimble and Hootsuite make it easier. Use a tool like Nimble to personalize the way you engage with followers and turn them into leads. Use a tool like Hootsuite to plan out your posts and ensure your presence is consistent even when you’re offline. So there you have it: our three most important tips for branding yourself on social media. Now, get out there and start branding! Don’t forget: when you want to amp up your brand and make it look perfect, a professional designer can help you take your social profiles up a few notches. 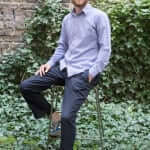 ​Camille Franc is a Marketing Manager at 99designs. Having graduated from Toulouse Business School, he is passionate about helping entrepreneurs make their journey successful and enjoyable. This, combined with his 5 years’ experience in digital marketing drives his passion for helping business owners to grow. When he’s not championing the 99designs brand you’ll find him practicing meditation or playing violin in the city of Berlin.